Directed by Brian De Palma. With Paul Williams, William Finley, Jessica Harper, Gerrit Graham. A disfigured composer sells his soul for the woman he loves so that she will perform his music. 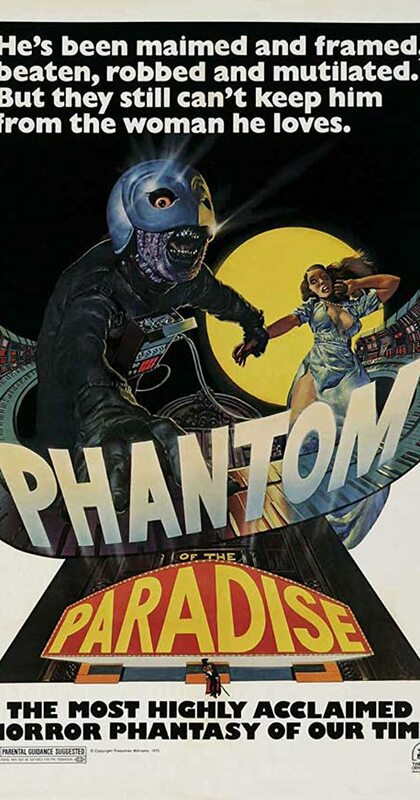 However, an evil record tycoon betrays him and steals his music to open his rock palace, The Paradise.